Need help shopping for the right personal Bible or as a gift for someone? 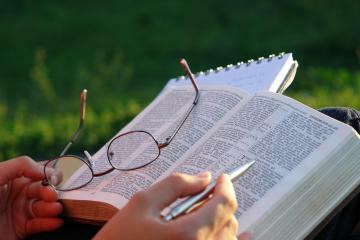 Our staff is happy to assist you with locating a Bible based on your needs, such as translation, layout and more. As an added bonus, we offer free name imprinting on any Bible purchase. So you can create a memorable gift for your loved one with a personalized Bible. Browse our selection of Christian books and Bibles at Ignited Gifts. From the newest released to the classic best-sellers, these titles will lift your spirits. A customizable jewelry line with charms and beads for any occasion. Choose from a number of different necklaces, bracelets, and charms to make it your very own. A fun, unique jewelry line for any age group. Put together a necklace, bracelet, or key chain to represent your favorite memories and hobbies. Cancer and Poverty Awareness bracelets. Show men and women your support with our Always Brave and Posi+vi+y bracelets and help give Nepal women their wings with our glass bead Wings bracelets.